PREMIUM LEATHER BUCKET SEATS, LT PREMIUM EDITION PKG, SUNROOF, NAVIGATION SYSTEM, BOSE PREMIUM (10) SPEAKER SYSTEM, BACK-UP CAMERA, 20" SPORT WJHEELS! GET READY TO BE "IMPRESSED" WITH "PASSPORT TO ADVENTURE" THE ALL NEW 2019 Honda PASSPORT ELITE AWD 3.5L V6 / LOADED WITH ALL THE BELLS AND WHISTLES / SUN / MOON-ROOF / HEATED MIRRORS / HEATED AND COOLED SEATS / BACK-UP CAMERA / BLIND SPOT MONITOR / SECURITY SYSTEM / FOG LAMPS / LANE KEEPING ASSIST / REMOTE START / REAR SPOILER / POWER LIFT-GATE / RAIN SENSING WIPERS / VERY LUXURIOUS AND QUIET RIDE!! 2019 BUICK ENCLAVE ESSENCE W/1SL FWD 3.63L V6 / PREMIUM LEATHER SEATS / BUICK INFOTAINMENT NAVIGATION SYSTEM / 20" ALUMINUM WHEELS / REAR SPOILER / HANDS-FREE POWER LIFT-GATE / BACK-UP CAMERA WITH REAR PARKING AID / MULTI-ZONE A/C + CLIMATE CONTROL!! 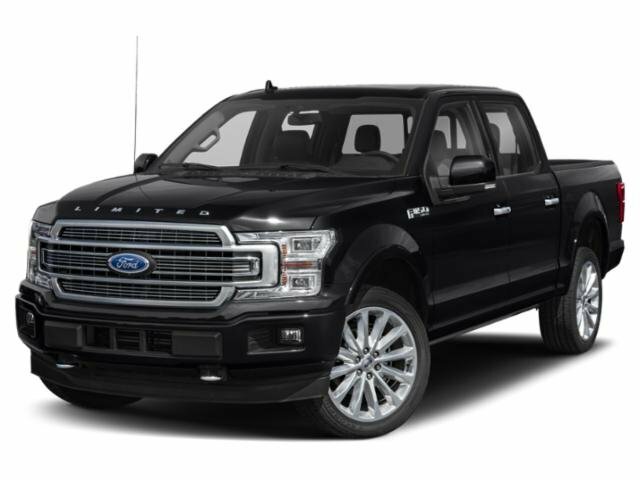 2019 FORD F-150 XL SUPERCREW 4WD 101A 2.7L V6 ECO-BOOST, STX APPEARANCE PKG, FOG LAMPS, CLASS IV TRAILER HITCH, BLACK PLATFORM RUNNING BOARDS, EXTRA POWER OPTIONS, 20" ALUMINUM SPORT WHEELS, PRIVACY GLASS!!! THE BEST OF THE BEST...PASSPORT TO ADVENTURE!! GREAT FAMILY SUV WITH ALL THE LUXURY, INTERIOR ROOM AND SAFETY OF THE LARGER & MORE EXPENSIVE SUV MODELS! BLUETOOTH CONNECTION, SUN / MOON-ROOF, RAIN SENSING WIPERS, REAR SPOILER, LED FOG LAMPS, LEATHER BUCKET SEATS, PREMIUM SOUND AND NAVIGATION SYSTEM, HEATED AND COOLED SEATS, HEATED STEERING WHEEL, HANDS-FREE LIFT-GATE, EXTRA POWER OPTIONS! 2019 FORD RANGER XLT SUPERCREW 302A 4WD 2.3L I4 TURBO-CHARGED / ALL NEW FORD RANGER IS "AWESOME" / ADAPTIVE CRUISE CONTROL / FX-4 OFF ROAD PKG / TRAILER TOW / 5" RETRACTABLE RUNNING BOARDS / SPORT APPEARANCE PKG / EXTRA SHARP!! 2019 CHEVROLET TRAVERSE LT LEATHER W/3LT FWD 3.6L V6 IS "AWESOME" TO SEE AND DRIVE / LT PREMIUM PKG WITH NAVIGATION, 20" SPORT WHEELS, BOSE STEREO WITH (10) SPEAKER SYSTEM AND SURROUND VISION!! ALL INCENTIVES APPLIED INCLUDING PACKAGE DISCOUNT! MUST HAVE 2009 OR NEWER TRADE IN AND FINANCE WITH FMCC. 2019 FORD EDGE TITANIUM FWD 301A 2.0L I4 TURBO-CHARGED AND READY TO GO / VOICE-ACTIVATED-NAVIGATION-SYSTEM / ADAPTIVE CRUISE CONTROL / HEATED FRONT & REAR SEATS / 20" MACHINE ALUMINUM WHEELS / PANORAMIC VISTA ROOF / ENHANCVED PARKING ASSIST!! 2019 FORD F-150 XL SUPERCREW 4WD 101A 5.0L V8 WITH PREMIUM CLOTH SEAT'S / BLACK PLATFORM RUNNING BOARD'S / STX APPEARANCE PKG / 20" ALUMINUM SPORT WHEEL'S / FOG LAMP'S / PRIVACY GLASS / TRAILER TOW PKG / PRO-TRAILER BACK-UP ASSIST / EXTRA POWER OPTION'S / TOW HOOK'S / BLUETOOTH CONNECTION / SECURITY SYSTEM / BACK-UP CAMERA! !